December is finally upon us, the season of festivities, family and a lot of parties! Office parties, family gatherings and Christmas shows are all a big part of the holiday season. You may think you have your month planned out, but have you thought about transport? If you’re going to be enjoying a festive drink or two this year, you are of course going to want to arrange a safe way home. Here are some tips to make sure you’re not walking home on a cold winter’s night! With so many party and event invites coming your way, it’s pretty easy to agree to attend them without actually confirming all the details. Even if you have confirmed the event details you may not be completely sure on the location. It’s important to make sure you establish exactly where you will need to be attending and what time you will need to be there. If you are hiring transport it’s still worth planning your route, as taxi and minibus drivers aren’t able to magically move the busy Christmas traffic that will undoubtedly be a part of your journey. 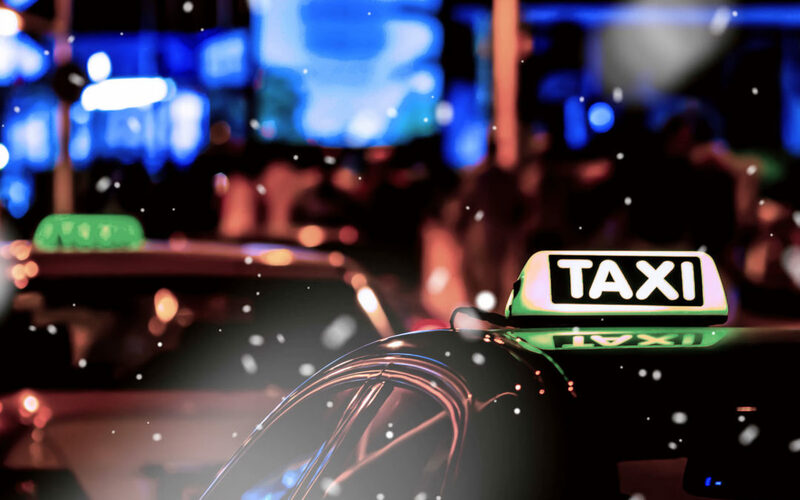 Taxis are undoubtedly going to be in high demand around this time of year, the further in advance you are able to book your transport the easier your transport experience will be. This would also extend to your return journey, as it can be frustrating when you are uncertain when your taxi home will be arriving. If you have friends/relatives attending the same event as you who live nearby, this one is a no brainer. It’s far more cost effective to hire out a larger taxi or minibus to get a group of you to your destination. Taxi firms prefer you to book these in advance, but it can really help organise your group. It’s absolutely worth your time making sure you have checked the reviews and feedback of any company you use for your travel services. This may also include calling up the company you wish to use to ask for quotes and find out more about the vehicles available to you. Firstly, this will help you cut costs at a time of year that may already be financially strenuous, but this will also give you an idea of the different types of transport companies in your area and which would best suit your needs. Most importantly, we want you to stay safe this Christmas. This time of year can get pretty hectic, so we think it’s important for everyone to have a small level of preparation and let the good times roll! If you need any transport this Christmas in the East Birmingham area or you just need some advice on travelling over the Christmas period get in contact with us here.